NEWARK, New Jersey (WABC) -- A plane landing at Newark Liberty International Airport Sunday was found to have four blown tires, the FAA said. 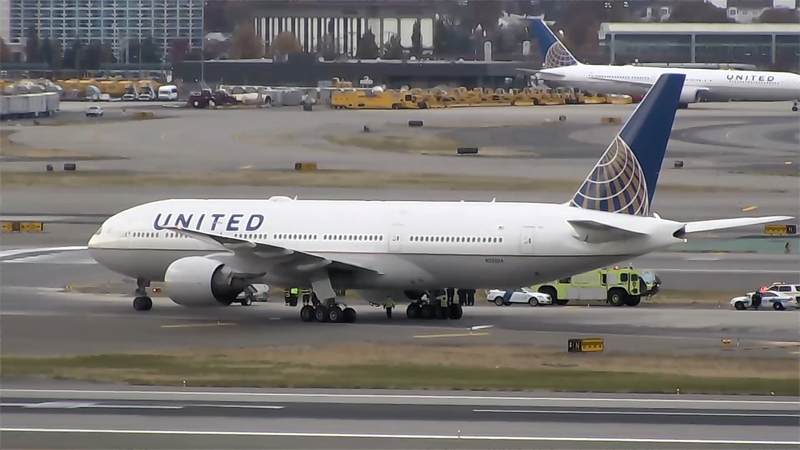 United Airlines 961, coming from Frankfurt, Germany, landed safely on Runway 22 Left at about 1:45 pm. The Boeing 777 exited the runway onto a taxiway where the blown tires were discovered. Passengers exited the aircraft via stairs and were bused to the terminal. Runway 22 Left was closed until the aircraft could be moved.